Our speech-language pathologists have specialized training, including certification in fluency disorders, to understand the mouth and throat muscles. This expertise equips our professionals to evaluate and treat conditions ranging from stuttering to feeding or swallowing disorders. Our speech-language pathology services combine assessment procedures and age-appropriate therapies to discover and treat the cause of your child’s problem. Pediatric speech-language pathology services are offered at nine Children’s outpatient locations and as part of our Inpatient Rehabilitation Program. Oral pharyngeal motility study (OPMS) or modified barium swallow study (MBSS): Exams that use radiology to view how children swallow food and liquids and if they have any trouble swallowing. Fiberoptic endoscopic evaluation of swallowing (FEES): A tiny, specialized camera is gently inserted through the nose to examine swallowing function. Our speech-language pathologists perform the test with a pulmonologist or otolaryngologist (ear, nose and throat, or ENT, doctor). To evaluate and diagnose voice disorders, our speech-language pathologists work with ENT doctors to perform videostroboscopy. This procedure allows clinicians to examine the health and function of your child’s vocal folds. Additionally, our specialists collaborate with the Children’s Center for Craniofacial Disorders to provide highly advanced diagnostic resources for patients with congenital (present at birth) or acquired skull or facial bone conditions such as cleft lip and palate or facial trauma. In addition to these treatments, your child’s therapist will provide you with a specially designed home program for your child. Home exercises and activities allow your child to continue to make progress between office visits. Childhood apraxia of speech is a motor speech disorder that makes it difficult to say certain sounds, syllables and words. This motor planning difficulty is a result of the brain's inability to coordinate appropriate muscle movements of the lips, tongue and jaw that are needed for speech production. Intensive intervention is recommended for childhood apraxia of speech. 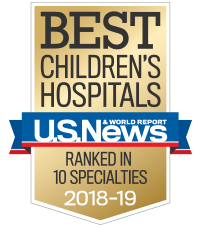 At Children's Healthcare of Atlanta, we provide children age 2 and older the help they need to improve planning, sequencing and coordination of muscle movements for speech. Our speech-language pathologists teach children the signs and gestures needed to help their brain prepare the parts of the body involved in speech. Our multisensory approach uses touch as well as visual and auditory cues to help train the brain. This allows children to get multisensory feedback on their speech in several different ways, making it easier for them to repeat syllables, words and sentences to improve speech clarity. Therapy sessions are available by appointment at all our outpatient locations. Contact Keri Warrick at 404-785-8456 for more information. Dyslexia is a learning disorder that affects the way the brain processes written and spoken language, particularly reading. Children who have dyslexia have difficulty learning to read or interpret words, letters and other symbols. Dyslexia may also affect oral and written skills, such as writing and pronunciation. Dyslexia isn’t a disease; it’s a condition that a child is born with. It’s a lifelong condition, but there are tools and resources that can help manage dyslexia. With the help of specially trained speech-language pathologists, children can build strong reading, writing and comprehension skills. Our specially trained therapists design a customized program that addresses the needs of each child. We offer one-hour therapy sessions three days a week, for four to six weeks, at Children’s Medical Office Building (at Scottish Rite), Children’s at Cobb, Children’s at Fayette, and Children’s at Satellite Boulevard. For more information or to schedule an appointment, contact Cathy Chronic at 404-785-8189. Our speech-language pathologists are specially trained to identify and treat reading disorders. We offer a wide range of therapy services help children with reading disorders build stronger reading, writing and comprehension skills. Our pediatric-trained specialists have experience diagnosing and treating voice disorders in children, adolescents and teens. They also educate patients about vocal hygiene—habits that support a healthy and strong voice throughout life. Children’s has bilingual speech-language pathologists and interpreters available for children whose primary language isn’t English. As part of our comprehensive evaluation to help diagnose voice disorders, we offer videostroboscopy. This procedure, done in collaboration with otolaryngologists (ENT doctors), allows our speech-language pathologists to see how your child’s vocal folds and larynx are functioning and affecting voice production. It can also show any lesions that may be present. We require a doctor’s referral for evaluation and treatment. In several key categories, Children’s speech-language pathology services exceed the national average for performance of similar pediatric facilities in the U.S.
Articulation is how well a child can produce sounds, and intelligibility is how well a new listener understands the child. In 2012 and 2013, 74.1 and 77.5 percent of our speech-language therapy patients, respectively, improved at least one functional level in articulation and intelligibility. This exceeded the national average of 72.2 in 2012 and 77.1 percent in 2013. Pragmatics measure a child’s ability to use language functionally and in social situations. Nearly three-fourths of our speech-language therapy patients improved at least one functional level in pragmatics in 2013, exceeding the national average by nearly 11 percent. Expressive language, also known as spoken-language production, is a child’s ability to put words together and communicate a thought. What’s important about expressive language is making sure that what a child says is clear and understandable. With the help of our speech-language therapists, 74 percent of our patients improved at least one functional level in expressive language in 2013, exceeding the national average by 10 percent. Receptive language, also known as spoken-language comprehension, is a child’s ability to understand language and put it into action, such as following directions. It’s crucial for a child to understand language because it affects his everyday functions—from interacting with others to paying attention to a lesson in class and understanding instructions. More than 68 percent of our patients improved at least one functional level in receptive language in 2012 and 2013, exceeding the national average. Our speech-language pathologists help children overcome reading difficulties.